If you listen closely to the back roads of Northeast Ohio, you may still hear Terry James 1967 El Camino big block echoing. In the 60’s and 70’s, the Motorcity was pumping out some serious horse-power. And the young, lead-foot drivers of Geauga County, Ohio were eating it up. The towns of Middlefield, Burton and Chardon were stomping grounds of many a street and drag racer. They were just far enough outside Cleveland to avoid the police, but close enough to have good asphalt! To this day, classic car shows and drag racing at Thompson Raceway are still thriving, thanks to the passion and elbow grease of these hundreds of pioneers. While most of these guys still tinker with their hot-rods, one of them took his passion and talents to the Silver Screen. 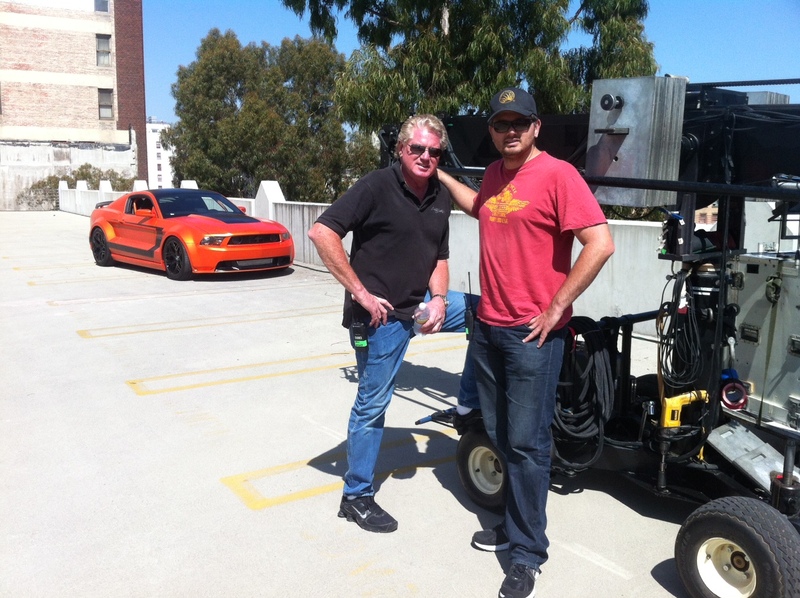 Producer Terry James moved to LA in the 1970’s and quickly began driving and performing stunts for film and TV. His passion for cars, speed, and safety is on display in car-centric classics such as B.J. and the Bear, The Dukes of Hazzard, Knight Rider, and The Cannonball Run. He has performed, stunt coordinated and directed 2nd unit on countless shows, including: Stripes, The X-Files, Prison Break, Thank you for Smoking, and Michael Bay’s Transformers, and many others. Terry has also been nominated for an Emmy for Young and the Restless and Days of Our loves in 2011 and was just nominated for an 2012 Emmy for Days of our Lives. As a producer, his thrillers are keeping audiences on the edge of their seats, while giving investors a nice ROI. His latest film, HUFF, starring Charlie O’Connell and Clint Howard, is in the can and beginning to show at festivals.